text replaced or augmented by symbol sets. Difficulty of text comprehension by people with cognitive disabilities ranges from minimal to extreme. They may comprehend most of a web page’s textual content, or none at all. repeat aloud or otherwise reiterate text multiple times to retain it. understand text because they did not understand the text that preceded it. may be significantly distracted by extraneous text. may not understand text written in their native language, but not written in language from the same culture. comprehend text-only instructions in order to adequately follow them. recognize characters if they do not form words, or are shown in different fonts or styles, e.g., italics. background concepts are not explained simply. Text To Speech (TTS) is hardware and/or software that produces human speech by a device such as a computer. Most TTS reads text aloud in a voice. Other TTS converts symbols, such as those employed by augmentative and alternative communication (AAC), into spoken speech. Many people with cognitive disabilities, such as Dyslexia, may have the capacity to use a screen reader for text to speech (TTS). However, people with severe cognitive disabilities, such as intellectual disabilities, may require simpler TTS delivery. A common one is a TTS widget embedded in a website. An alternative is a CSS speech module, as proposed by the W3C. Advantages include that there is nothing to download and install; and learning how to use a TTS widget or a CSS speech module is dramatically simpler than learning how to use a screen reader. The TTS should be limited to relevant content, and exclude such text as found in menus, footers, and advertisements. Another helpful feature is the visual highlighting of text as it is read aloud. Such features may help people with cognitive disabilities who are overwhelmed even by simple TTS delivery. Video is a short film clip of moving visual images with or without audio. To aid comprehension, video with audio should be captioned and/or have audio description, which provides important information not described or spoken in the main sound track. For example, see “Autistic spectrum, captions and audio description”. An image is a picture, a representation of a visual perception. User research has shown that text comprehension is significantly enhanced where accompanied by contextually-relevant images. A picture of an object may be easier to recognize than a textual description of it. Diagrams and charts as visual representations could be helpful for textual descriptions of processes or flows. Employing HTML Canvas, as proposed by the W3C, diagrams and charts could be interactive and have additional descriptions for their parts to aid comprehension. An icon is a small image or drawing that commonly represents a function. A graphic is a drawing of a visual perception or an abstract concept, or is otherwise a representation of an object or an idea. Text accompanied by consistent iconography helps convey meaning, such as by associating discrete textual passages with each other. Similarly, a pie-chart graphic may help convey meaning easier to comprehend than a table of statistics. A symbol is a sign that represents or suggests an idea, an object, an action, or a belief. Symbol sets can be used for augmentative and alternative communication to support people with cognitive disabilities who have severe speech and/or language difficulties. This can include those who may understand speech, but who are unable to express what they wish to say, perhaps because of a physical disability. (It is common for people with cognitive disabilities to also have physical disabilities.) Ideally, interoperable symbol sets could be used to replace or to augment web-based text. The first 2 attributes, especially the clear structures, will help comprehension via text-to-speech. I welcome your suggestions. Please add a comment. This is version 3 of an issue paper I wrote as part of my work as a member of the W3C’s Cognitive and Learning Disabilities Accessibility Task Force. It is a work-in-progress. References in this document to “some people with cognitive disabilities” are to people with the lowest-functioning intellectual capacity, such as people with intellectual disabilities. I have been busy with my cognitive web accessibility work, though I have not blogged about it much. Here are 3 examples. I have a weekly teleconference with the W3C‘s Cognitive and Learning Disabilities Accessibility Task Force. I have been an “Invited Expert” on the task force since it began in November, 2014. We published the first working draft of our Cognitive Accessibility User Research on January 15, 2015. We welcome feedback. I will be speaking at the 30th Annual International Technology and Persons with Disabilities Conference of California State University, Northridge (CSUN). By invitation, I spoke at the Fourteenth Annual Conference on Cognitive Disability and Technology of the Coleman Institute for Cognitive Disabilities, University of Colorado. Topic: New Work from the W3C to Create Guidelines. Most user interfaces are designed to help users complete tasks. However, web security and privacy technologies intentionally introduce barriers to task completion. They require users to perceive more and to do more to complete tasks. Three examples of these technologies are passwords, CAPTCHA, and 2-Factor Authentication. Passwords are words or character strings used for authentication and/or for identity confirmation. require users to invoke a submit button. inherence, e.g., fingerprint or voice print (via biometric device). may be afraid to trust a web site, thus causing them to cancel a transaction. may not recall where they keep passwords (which may be found by people who should not have them). be able to recall required text, such as a password or a PIN, or remember how to retrieve it. enter characters correctly on the first try (resulting in being locked out). determine the purpose of a web security and privacy technology sufficiently or at all. presentation of multiple options, such as CAPTCHA‘s “Refresh”, “Listen”, and “Help”. may have comprehension problems exacerbated by text or instructions presented in a non-native language. may, when presented with words by CAPTCHA, be at a disadvantage due to lack of word recognition or comprehension. recognize characters if they do not form words, or are shown in different fonts/styles. comprehend the meaning of rich media designed to be instructive. Provide text alternatives that identify and describe the purpose of the non-text content. See WCAG 2.0 Guideline 1.1. Turn off or adjust time limits, including allowing continuation of activity without reauthentication. See WCAG 2.0, Guideline 2.2. See WCAG 2.0, Guideline 3.3. Save submitted data for reuse after a user authenticates. See WCAG 2.0, Technique G105. Encode user data as hidden or encrypted in a re-authorization page. See WCAG 2.0, Technique G181. could be implemented consistently so that the interface is the same across web sites. Develop and use a consistent interface, such as common sets of vocabulary and iconography, across sites. Offer textual-password alternatives, such as swipe patterns or click-based graphical passwords. Provide security and privacy instructions and policies in plain language. how to create a password that is easy to remember but hard to guess/determine. Set a high-security privacy option as the default, but ensure it is easy to use. Use a password-keeper app that is accessed biometrically, such as via fingerprint or voice print. can transmit such data via a USB connector, RFID, Bluetooth wireless, or NFC. Keygen, an element of HTML5,can be used to simplify re-authentication. After a user has completed authentication using keygen, the user will be automatically authenticated for subsequent uses of a web site or service. Thus, there will be no need for a user to re-enter authentication information. Keygen establishes a private-key and a public-key pair. The keygen tag designates a key-pair field in an authentication form. a public key is signed with the private key, and is sent to the server. In subsequent authentication sessions, the server will either automatically retrieve the private key, or prompt the user to select it. See W3C HTML5 Recommendation 4.10.12 The keygen element. Fast IDentity Online (FIDO), password-free standards for typical and two-factor authentication. FIDO relies upon user authentication based upon a user’s device (e.g., phone, tablet, computer). A user’s device registers the user, to a server, via a public key. Upon a challenge from the server, the user’s device responds with a private key. The device’s keys are unlocked by the user biometrically (e.g., fingerprint scanner) or by a button press, not by a password. Spam-free accessible forms, WebAIM, Utah State University, March, 2007. CAPTCHA-less Security, Karl Groves, April, 2012. Determine the time difference between when a web form is loaded and when it is submitted. If it is submitted quickly, which may be indicative of a spambot, discard the submission. Otherwise, keep it. I wrote this document as part of my work as a member of the W3C’s Cognitive and Learning Disabilities Accessibility Task Force. Other task force members contributed to the content. is an expansion of CAPTCHA, Cognitive Disabilities, v1 (W3C Task Force). offers answers to the challenges I described in Online Security & Privacy for People with Cognitive Disabilities, Part 1. The web-form honeypot, which I described in this document, will not work for popular websites because spammers will likely expend the effort to defeat it. For the latest official version, see the W3C Techniques Paper: “Web Security and Privacy Technologies“. I am trying to evaluate the barriers of online security and privacy to people with cognitive disabilities. This work will help inform the effort of the W3C’s Cognitive and Learning Disabilities Accessibility Task Force to recommend standards on how to make online security and privacy more accessible. It appears to me, from my research so far, that there is a lot of work on how to improve the security standards of information and communications technology (ICT) without much focus on the usability and accessibility of it. For example, I could not find even the terms “usability” and “accessibility” in the ICT Security Standards Roadmap of the International Telecommunication Union, an agency of the United Nations. Determining how to make online security usable for everyone must include people with cognitive disabilities. Doing so will mean that the related user experience will be designed to be as simple as possible. The more the experience is easy to use, the more everyone will protect their assets and privacy. A piece of good news is that the Electronic Frontier Foundation is researching how to measure the usability of implementing secure messaging as part of its “Designing a Prize for Usable Cryptography”. I expect that work would be enough to help develop usability and accessibility-evaluation standards for online security and privacy in general; and to inform the creation of related recommendations for people with cognitive disabilities. I am working on a list of barriers, based upon functional limitations, which are common to end-user security techniques, and sublists unique to each technique. I am not a security and privacy expert. Thus the limitations I am considering are based solely upon my expertise in accessibility and cognitive disability, and what seems logical to me. (For an example, see my recent blog post about CAPTCHA.) I suppose that effort will have to suffice until a security expert, such as the Electronic Frontier Foundation, determines how to measure related usability. 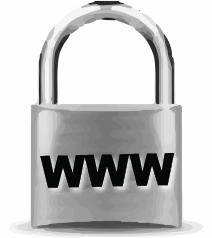 See Stay Safe Online for online security-related instructions and information. No endorsement is intended or implied of the organizations and their efforts mentioned in this blog post. Neil Milliken and I have written an autism gap analysis as part of the effort to create gap analyses by the W3C‘s Cognitive and Learning Disabilities Accessibility Task Force. Our intent is to identify the gap between where the state of accessibility for people with autism is now when using the web, and where we want it to be. The following is information about the autism gap analysis. We included some personas with use cases that address key challenges. The personas and use cases are based upon aggregated results of interviews of people with autism-spectrum disorder (ASD), and upon anecdotal observations of their use of the web. We also quoted, from authoritative sources, much of the background information about autism. We did that, in large part, to help avoid adding to ASD-related controversies. The prime example is the reported increasing prevalence of ASD, and arguments that the increase is not actual, but due to the nature of the diagnoses. I will soon conduct a literature review for user-testing-based research related to web accessibility and people with cognitive disabilities. If you know of any, please post a comment with a reference to it. Neil Milliken was assisted by Jessie Grainger, an intern who helped write most of the use-case scenarios. No endorsement of any of the information contained in the autism gap analysis is intended or implied. The members of the W3C‘s Cognitive and Learning Disabilities Accessibility Task Force have been working since January to develop a set of gap analyses. A gap analysis, as we have defined it, identifies the gap between where the state of accessibility for people with cognitive disabilities is now when using the web, and where we want it to be. The gap analyses are based upon common cognitive disabilities. The following list of the gap analyses includes their primary authors (as of July, 2014). The task force has completed the first drafts. We are now working on integrating the information in the gap analyses into a single document. A large part of this work is to define cognitive web accessibility from a functional standpoint. We plan to combine information, such as challenges and techniques, that is common across the gap analyses, and retain information that is unique to a particular disability. The WC3‘s Cognitive and Learning Disabilities Accessibility Task Force received a presentation about a project called the “Global Public Inclusive Infrastructure” (GPII), from Gregg Vanderheiden, on March 31, 2014. Quoted below is a project description. “The purpose of the Global Public Inclusive Infrastructure (GPII) is to ensure that everyone who faces accessibility barriers due to disability, literacy, digital literacy, or aging, regardless of economic resources, can access and use the Internet and all its information, communities, and services for education, employment, daily living, civic participation, health, and safety. As our countries build out their broadband infrastructures to ensure that broadband reaches everyone, it is important that ‘everyone’ includes people with disability, literacy and aging related barriers to Internet use. We need to be sure that we don’t stop at just connecting people to the Internet – but that we also see to it that they can actually use it, and benefit from all that it has to offer. The GPII would not create new access technologies or services, but would create the infrastructure for making their development, identification, delivery, and use easier, less expensive, and more effective. Like building a road system does not provide transportation but greatly enhances the ability of car companies and others to do so — and provides an infrastructure that car companies themselves cannot do. The Internet is the infrastructure for general information and commerce. The GPII enhancements to the Internet would provide the infrastructure to enable the Internet to be truly inclusive for the first time. Retrieved from http://gpii.net (Published June 30, 2010). Note: No endorsement of the Global Public Inclusive Infrastructure and Raising the Floor is intended or implied. 2014 Boston Accessibility Conference – May 10 – Register Now! Register Now for the 2014 Boston Accessibility Conference! This is a conference about making technology accessible, especially the web, but also mobile, games, and much more. It is an opportunity for designers, developers, usability professionals, accessibility experts, and end users to share information and learn from each other. 2014 sponsors include my own project, INDEX, which provides, to the public for free, information about programs, providers, and services for people with disabilities in Massachusetts. Posted in Web Accessibility | Comments Off on 2014 Boston Accessibility Conference – May 10 – Register Now! A new task force has been formed by the World Wide Web Consortium (W3C) to develop accessibility guidelines for people with cognitive disabilities. It is led by Lisa Seeman, a long-time expert and advocate. Task force members are well-known experts from all over the world. I am a member, an “Invited Expert”. My current, primary responsibility is to create and manage volunteer research groups of people with disabilities and others. I participate in the weekly conference calls of the task force, which so far have consisted of brainstorming sessions, presentations, and organization by Lisa of the task force’s work. Our first teleconference occurred on January 20th of this year. The task force is known as the “Cognitive and Learning Disabilities Accessibility Task Force (Cognitive A11Y TF)” of the Protocols and Formats Working Group, and the Web Content Accessibility Guidelines Working Group. I plan to publish, to this blog, the information I can share about the task force’s work.